Paul faced constant pressure to admonish the Saints of the early Christian Church to live by the customs and traditions of the Jews. Keeping certain Sabbath day traditions, abstaining from certain foods, and following other customs that were important to the Jewish converts but not to the Gentiles. In 1 Corinthians 8 Paul also spoke of saints in his day being offended that certain Christians ate meat that was sacrificed to the pagan gods of his time (1 Corinthians 8:8-13). The Christians of the early church would often separate themselves into certain groups. This came naturally as the Jewish converts to Christianity had a common background and language. At times one group would judge the other according to its preferences and cultural traditions. Paul wanted everyone get along and to know that customs are unimportant compared to having faith in Jesus Christ‍ and following his perfect example. Even today we experience similar challenges as a the Church of Jesus Christ of Latter-day Saints expands globally. On a local level, teenagers understand that not everyone has the same preferences and cultural traditions, thereby causing them to notice these differences. If your brother or sister is distressed because of what you eat, you are no longer acting in love. Do not by your eating destroy someone for whom Christ died. Therefore do not let what you know is good be spoken of as evil. For the kingdom of God is not a matter of eating and drinking, but of righteousness, peace and joy in the Holy Spirit (Romans 14:15-17). Not everyone applies gospel principles the same way in their life. We all live the best we can according to the light we have received. Paul is telling the Saints in Corinth (in the verses from 1 Corinthians 8) that if they eat meat sacrificed to idols and their eating causes another to stumble in the faith, that they ought not to eat the meat, so that they don’t offend their brother. I might add that if Paul were writing today, he would also tell the offended party to choose to not be so easily offended. We can choose not to be so sensitive to the actions of others, especially when it comes to where they purchase their steak! Some examples today of doubtful disputations run along the lines of how we choose to apply gospel principles in our lives. Cola drinks, eating certain types of foods, playing cards, specific activities on the Sabbath day are all examples of how individuals may differ in their behavior and application of gospel principles. Another example how individuals apply gospel principles relates to gambling. For many years Latter-day Saints have been counseled not to be involved in gambling. The principle behind this instruction lies in the idea that we should earn what we receive, that we should not seek something for nothing while in this world. We need to earn our bread by the “sweat of (our) brow” (Genesis 3:19). Some have applied this principle in unique ways. I know of one friend who has made the personal choice to apply this principle by not applying for things that are free – for example, she will not fill out applications for “free drawings” that businesses offer in advertising. This is her personal application of this principle. While she may apply this principle this way in her life, arguing with someone else because they do not make the same application is futile. Teachers who are commanded to teach “the principles of [the] gospel” and “the doctrine of the kingdom” (D&C 88:77) should generally forgo teaching specific rules or applications. For example, they would not teach any rules for determining what is a full tithing, and they would not provide a list of dos and don’ts for keeping the Sabbath day holy. Once a teacher has taught the doctrine and the associated principles from the scriptures and the living prophets, such specific applications or rules are generally the responsibility of individuals and families. Well-taught doctrines and principles have a more powerful influence on behavior than rules. 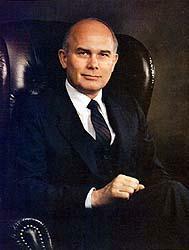 When we teach gospel doctrine and principles, we can qualify for the witness and guidance of the Spirit to reinforce our teaching, and we enlist the faith of our students in seeking the guidance of that same Spirit in applying those teachings in their personal lives (Dallin H. Oaks, “Gospel Teaching,” Ensign, Nov. 1999, 78-80). Applying gospel principles in our lives requires effort. Seeing through the mists of the world today takes faith and patience. Paul urged the saints to be patient with each other. He counsels us to work not to offend each other, but to “make every effort to do what leads to peace and to mutual edification” (Romans 14:19 NIV). This entry was posted in Happiness, New Testament, Principles and tagged applying the scriptures, finding solutions to our problems, LDS youth, Romans, Understanding Paul. Bookmark the permalink. You have a great way of explaining the background and doctrines of the scriptures. I think your examples of caffeine drinks, sabbath day activities, gambling, etc are very appropriate modern day equivalents to Paul’s teaching. I also really like the quote you included by Elder Oaks and his point that “Well-taught doctrines and principles have a more powerful influence on behavior than rules.” This has definitely been my experience. Reminds me of a quote by Pres. Benson about how the Lord changes people from the inside out, not the other way around. Excellent post! Thanks Brent! I agree that as we individually apply true principles, we “own” the principle, it becomes part of who and what we are. In this way we exercise our agency and act upon our environment instead of being “acted upon”. “If I esteem mankind to be in error, shall I bear them down? No. I will lift them up, and in their own way too, if I cannot persuade them my way is better; and I will not seek to compel any man to believe as I do, only by the force of reasoning, for truth will cut its own way.” I really enjoy this quotation. I am not a member of the church, any church actually. I find myself continually drawn to the teachings and ideas brought forth through the Book of Mormon, not because anyone has told me it is true and I am wrong for not believing, but because I see the lives being led by those friends I have encountered through the years. One friend in particular has always been a shining example of those values I have always held dear. Seeing her faith and how it has helped her through the years to uphold those values has been the most compelling reason to investigate the teachings of the B.O.M. for me. I still struggle with the idea of a greater force out in the world, but I figure I will never find an answer unless I continue searching.